In the right hands, and shaped with the right spirit, seemingly simple musical structures can become intensely evocative and even spellbinding. 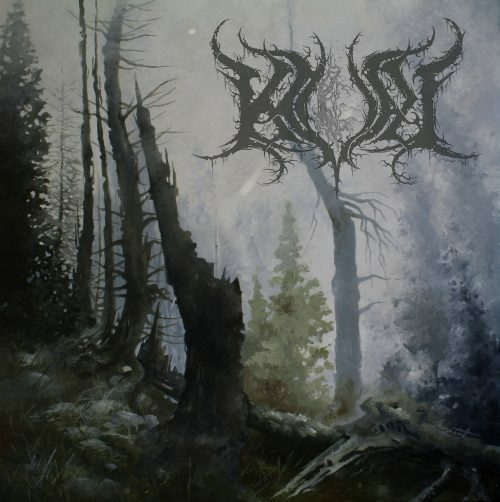 In fact, the ability of a piece of music to carry the listener away in a waking trance, where the mind conceives its own visions under the influence of the sound, may become even stronger with simplicity — if the songwriting and the execution are as good as they are on the self-titled album by the Finnish atmospheric black metal band Kval. The album by this one-man project was first released under the name Khaossus in 2015, but it has been re-recorded for this release under the band’s new name, adorned as well in new artwork (by Moonroot Art). It will be released by Hypnotic Dirge Records on July 27th. This 43-minute work is composed of four long songs, interspersed with three minimalistic ambient tracks. Of those four long tracks, “Kuolonkuu” is the last one — and it’s the one we’re premiering for you in this post. Gloom shrouds “Kuolonkuu” like the seeping of weeping northern skies dampens the grey eminence of mountain timbers. The chill sinks into the listener’s skin from the first moments, as deep abrading riffs begin their work over the stalking gait of a mid-paced beat. 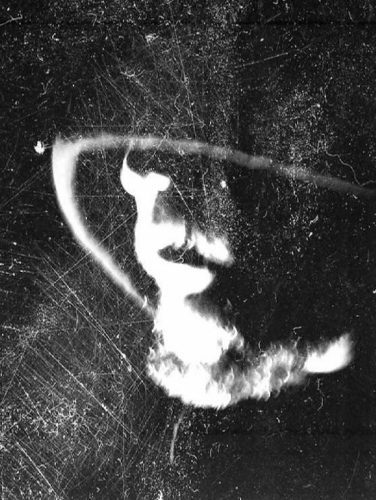 The tormented, rasping howls through which the words are exclaimed manifest anguish and emptiness — and as this combination of sounds is repeated, the spell deepens, and becomes even more mystical through the emergence of a spectral melody that cascades like the mystery of northern lights, and an interlude in which rippling guitar notes play out again a background of ambient shimmering. Other melodic accents appear before the song draws to a close, but while the music may come to an end, the spell lingers. “Kuolonkuu” wears sorrow like a solitary traveler in a sodden hooded cloak, leaving behind the smoldering embers of dying hopes and ashen dreams, staggering into a lightless future. As forlorn as the music is, however, it also becomes undeniably beautiful and stirring in its display of desolating sorcery. 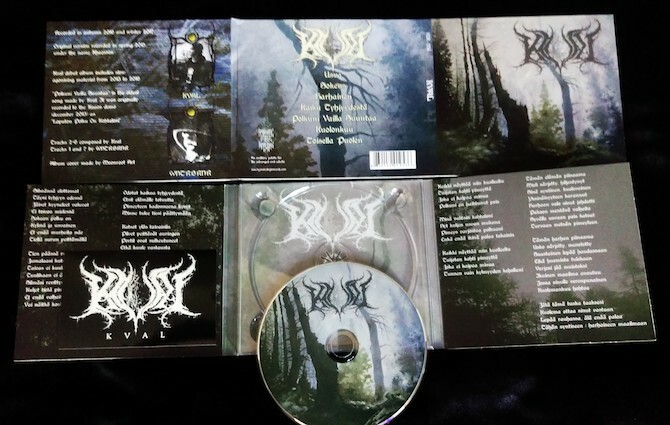 Kval is recommended for fans of Burzum, Forgotten Woods, and Mortualia. The pre-order link for the album and related merch is below, followed by our premiere of “Kuolonkuu” and a stream of the previously released track “Harhainen”. If an album cover features mountains and/or forests and a cool looking band logo, there is a very high probability that I will purchase it, or at least check it out. Proclivity… you learn something every day. Besides, one of the coolest logos I’ve seen in a while.